Forestry software allows users in the forest industry to manage tasks such as forecasting, operating harvests, tracking inventory, and managing contracts. Companies use the software to predict harvest sizes and optimize their resources. Users can create calendars to manage operations and allocate equipment to complete lumber-related efforts. Some products assist industry managers in abiding by regulations and standard practices. Many also possess trade components to document dealings and manage payments. These platforms provide tools to track the origins of inventory, equipment, and personnel. Many can set target rates and help users schedule operations accordingly to reach intended goals. One of the most common features is the ability to let users assess the value of harvests. Industry workers can utilize this information to increase profits and assure fair dealings. Many forestry software products can create reports to submit to accounting or database management tools. Evaluate market value and simplify sales processes. 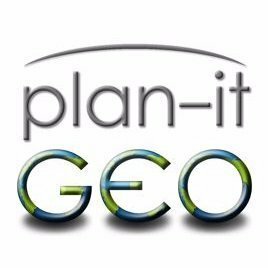 Production planner end-to-end forestry operations and business processes associated with Planning, Planting, Growing, Harvesting, Transporting and Processing. Organizes, manages, and provides a web-based visual display for natural resource data. Tree inventory and map program. Trees Count makes the maintenance and conservation of forested areas more manageable. The app is supported on iOS and Android operating systems and can be used on both smartphones and tablets. Trees Count was developed using the cross platform application development tool, Xamarin, and Esri's ArcGIS SDK for .NET. ArborCAD is a CAD solution used by arborists for creating, editing, and evaluating tree placements and grooming designs. ArborCAD allows you to automatically produce professional drawings to local and international standards anywhere in the world. ArborLine is a tool that helps utility arborists reduce time spent on choice of equipment and work site documentation. ArborSite is a tree inventory and risk tracking software that helps arborists monitor work actions needed to be performed on trees and their costs. Arb Pro is a web-based CRM solution that lets tree contractors easily manage sales process with minimal paperwork, phone calls, and site visits. Arb Pro uses managing Quotations, invoices, tools, risk assessment and so much more is possible. Assisi Inventory's models project growth and simulate past management to give you up to date estimates of your current inventory. BOS Forestry is a suite of software solutions designed for the BC Forest industry to manage harvesting operations, production and sales of lumber to domestic and international markets. The Bucking Improvement System develops bucking rules for the cut-off saw operators, by defining desired bucked lengths for different input lengths and diameters. Cengea Agriculture fulfills the information needs of producers, processors and traders from the field to the processing point. Clearion VM is a vegetation management solution that improves the effectiveness of transmission and distribution line clearing programs for arbotists. With Clearion Vegetation Management (VM) solution you can create detailed work plans, issue paper or electronic work orders, track post-work inspections and rework, calculate estimated and actual costs, and manage schedules and budgets. Commodity ProManage (CPM) system is designed to manage procurement related tasks for all forest products companies that include biomass facilities, pulp and paper, hardwood/softwood, pellet, saw and chip mills. CRISALIS is an app that ties together many software programs, datasets, and professional documents into an ALL-In-One Natural Resources Information System. With Cruise Control you can collect just Species, DBH and merchantable height or you can collect things like Plot Level information, tree grades, codes (user defined), product assignments in 1,2 or 8 foot increments and much more. Cut-To-Length Harvesting Simulation Program, is a comprehensive simulation program that allows accurate modeling of cut-to-length harvesting operations. DTAILS is a comprehensive lumber inventory control software package intended to meet the needs of any lumber-based company from sawmills to resellers. eLIMBS is a Software Solutions and Hardware Solutions provider serving the wood products industry with easy-to-use tools for tracking wood products from the initial standing timber process clear through the harvesting, production and manufacturing process up to and beyond the point of sale. Inventory tracker that maintains production totals by Species, Grade, and Linear/Board Feet. Enfor Appraisals is a timber stumpage appraisal software. Functionality of a traditional Accounts Receivable System with an expanded ability to monitor Credit Exposure. Forest Metrix gives instant summaries in the field, including the charts and tables you include in your management report. iCruisePro is a timber inventory software. 3LOG Systems, Inc. is the leading provider of business solutions for timber management and wood product companies in North America. We help companies take advantage of current technology to achieve operational efficiencies so they can make better-informed business decisions. With over 500 installations to our credit, 3LOG’s knowledgeable industry consultants work with you to define your business requirements and then tailor a solution that delivers the highest return on investment (ROI). Our systems can manage one small aspect or the entire forestry cycle from silviculture, harvesting, procuring, hauling, consuming, inventory or selling logs and/or wood byproducts. We address all the needs for anyone that works with wood products such as; TIMO’s/REIT’s, pulp & paper mills, softwood mills, hardwood mills, pellet mills, OSB/plywood mills or biomass facilities/utilities. This website highlights our company, products and services. For more detailed information we encourage you to contact us. Together we can uncover your business needs and determine how the 3LOG solution can potentially benefit your organization. Logged it manages timber harvesting. Log procurement and inventory management software. Voice activated or hand-held computer automation of entire log scaling procedure. A lumber tracking application with real-time order tracking, production reports and kiln activity. MapCentrix helps organize your staff, map trees, and capture tree photos with arborist management solution accessible from any device. Application for collecting forest inventory data on a hand-held data recorder. MobileMap provides GIS functionalityto users in the field. MillTech IMS is a Wood Products Inventory, Sales, and Production System, serving the forest products industry. MosaicMill has developed tree wise forest inventory method and will start providing processing services in May-June 2018. No traditional field measurements are required - in this novel methodology each tree is located and measured from UAV data. Especially suitable tree inventory is for small and medium size forest properties. MosaicMill inventory method is applicable for both plantations and managed natural forest. Panel Mill Production Planning Optimization, is a linear programming (LP) optimization model that may incorporate models of veneer, plywood, LVL, OSB, I-Joist, and stud operations. Veneer-Lathe Simulation Program calculates average green veneer yields and peeling times for various block classes and combinations of lathe type, veneer thickness and peeler-core diameter. Hi there! Can I help you find the best Forestry solutions?